When I was growing up, my family used to camp regularly (in a tent and later a pop-up trailer). Then we got a cottage on Lake Erie when I was nine. With weekends and occasional summer weeks spent by the water, I didn't think I was missing out by not going to a formal camp. But, as I discovered recently when my family and I spent the weekend at Ontario Pioneer Camp, there are advantages to overnight camp that go far beyond swimming and enjoying nature. Advantages like adventure, companionship, personal growth and, of course, extreme fun! Here is the group of bloggers, family members and counsellors who gathered together for a weekend jam-packed with great activities. 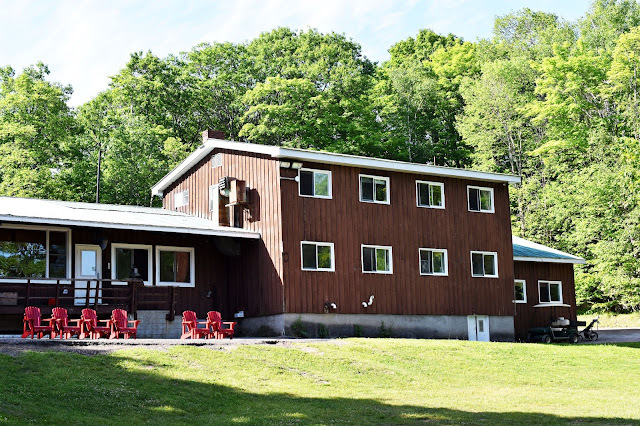 Ontario Pioneer Camp sits on 1,200 acres next to Clearwater Lake in Port Sydney, Ontario (in the incredibly beautiful Muskoka region). 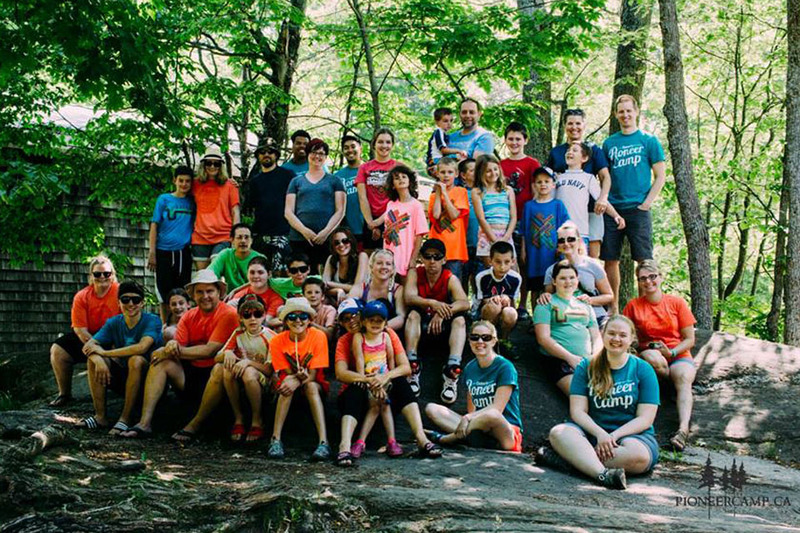 In the 85 years this Christian camp has been operating, more than 250,000 campers (ages 5 to 17) have shared in the beauty of this remarkable place. 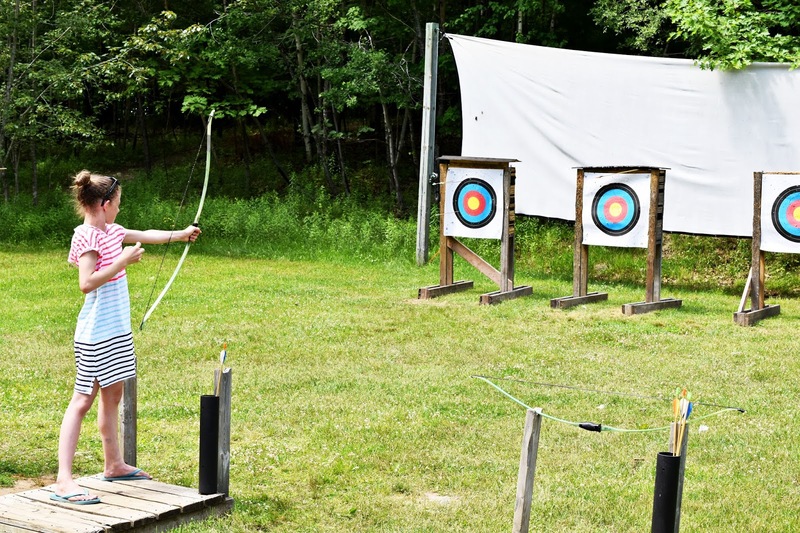 Ontario Pioneer Camp offers activities such as high ropes, sailing, kayaking, mountain biking, archery, swim lessons and wall climbing. 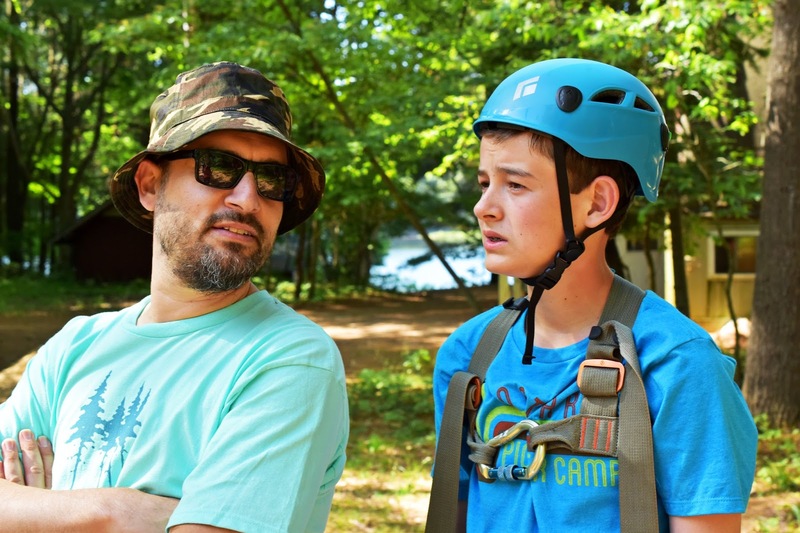 The goal of the camp's staff members is to provide a transformative experience for campers in a fun and caring environment. And that's just what they do! Check out the smile on my little girl's face, above! She was like that all weekend. She did not want to leave. 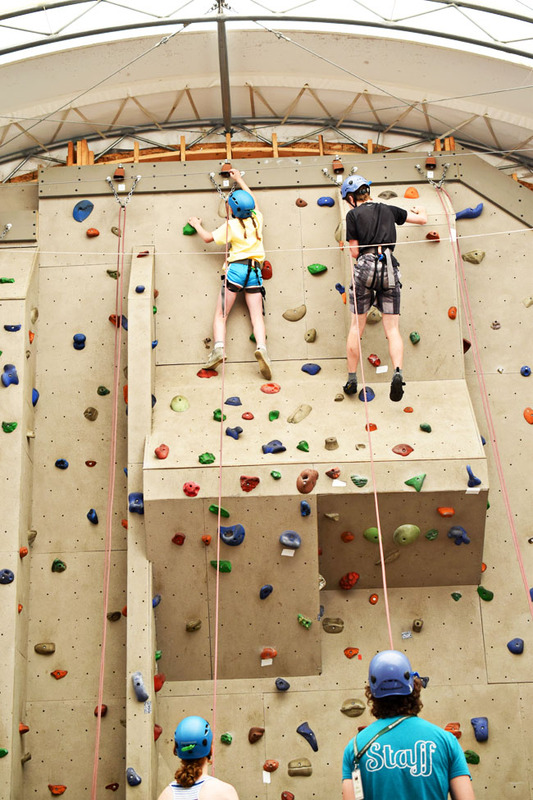 The kids were free to participate (or not) in a variety of activities, including high ropes and a rock climbing wall. Despite the look of trepidation on my son's face, he tackled them both, with the gentle encouragement and support of camp counsellors. My daughter, who will not even consider going on a roller coaster at Canada's Wonderland, turned out to be quite the vertical adventurer after all, ringing the bell at the top of the climbing wall. 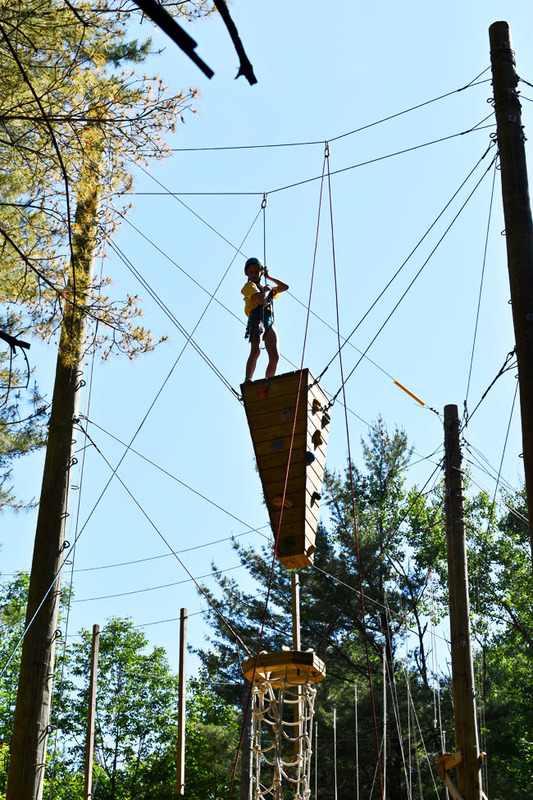 She also made it to the top of this high ropes climbing apparatus. She even jumped from a platform and grabbed a trapeze! For the less adventurous folks (like me! ), shared paddling in a large canoe over pristine waters is another option. 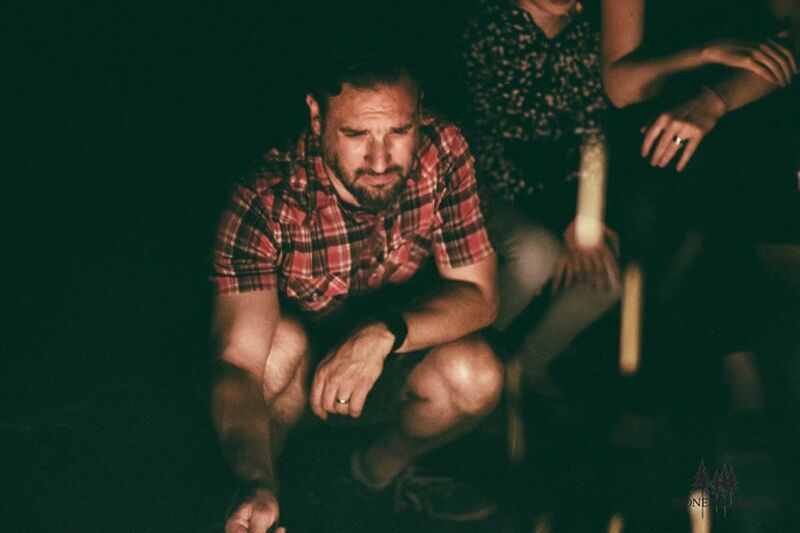 We gathered around campfires in the evening, singing and watching performances from the welcoming and outgoing camp counsellors, most of whom attended Ontario Pioneer Camp themselves as youngsters. 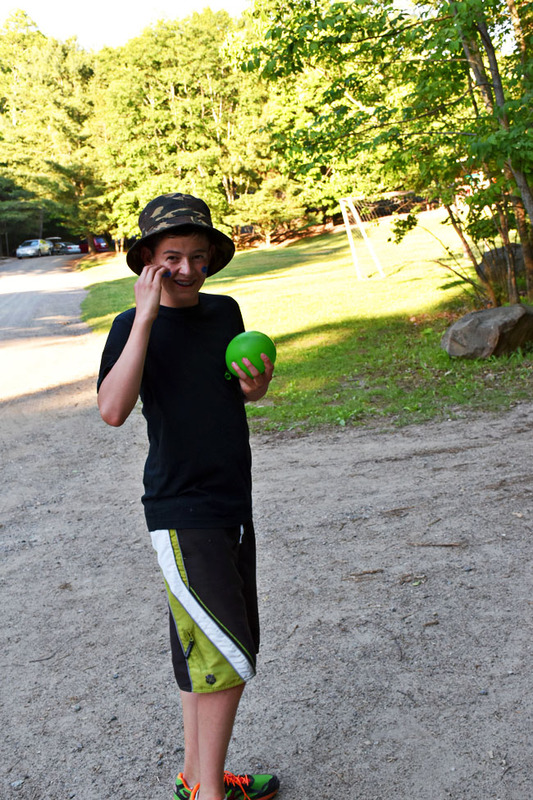 The Ontario Pioneer Camp staff members are so adept at planning activities - there is never a dull moment. Above, there were two campfires going at quite a distance from one another. Team members from one group would try to stealthily put out the other team's fire with water balloons. The kids (and counsellors) had a blast doing it. 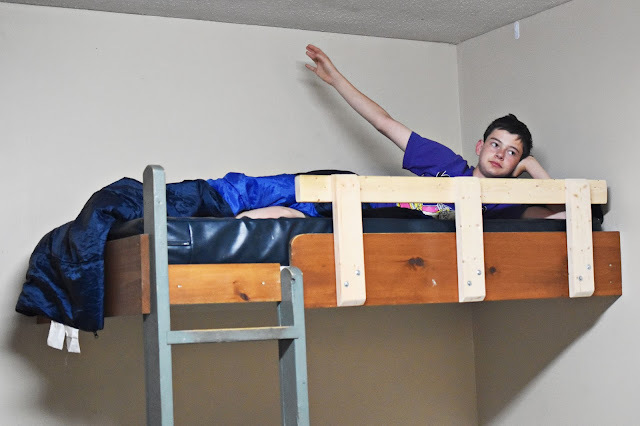 We bunked it indoors on our blogger weekend, but the kids are normally in cool, tent-like bunk houses. There are separate camps for boys and girls as well as an adventure camp. Ontario Pioneer Camp boasts a gorgeous natural setting (we saw quite a few deer wander onto the property). Best of all, though, are the warm, inviting administrators and supportive young counsellors. The camp is all about friendship and inclusion. If your child has special needs, you can rest assured he or she will be welcomed and accommodated. I am the first to confess I'm a helicopter parent (as was my dad before me) and overnight camp seemed a bit frightening to me before our visit to Ontario Pioneer Camp. But I saw the kids thrive (and often I saw the back end of my daughter as she ran away from me with excitement to the next activity). I see that she is at the age where she craves (and needs) some independence and a chance to flourish without me hovering. It's kind of exciting really. 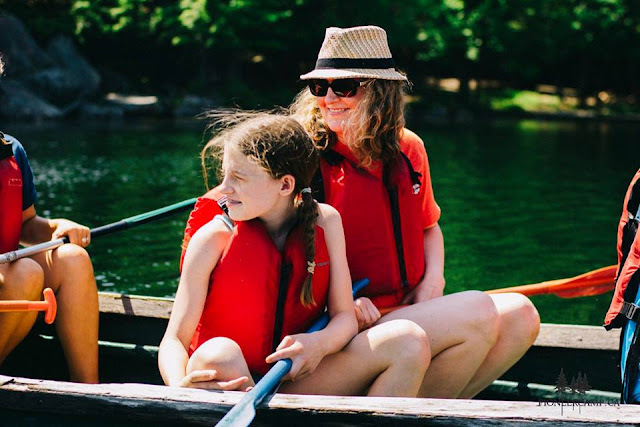 I wrote an article for GoodLife York Region magazine not too long ago about the benefits of summer camp. At that time, a discussion I had with Heather Heagle, executive director of the Ontario Camps Association, struck a chord with me. Heather said, "School teaches you information that you memorize and learn. Camp teaches you about yourself and others." 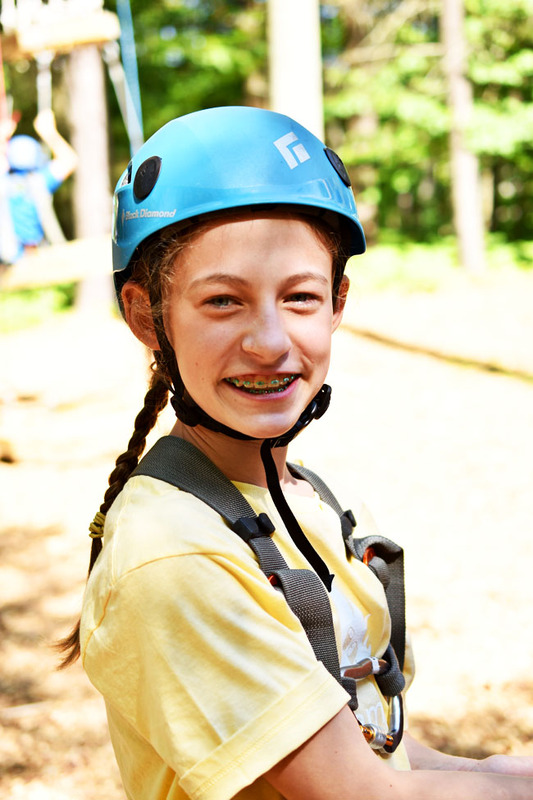 She believes that camp experiences help kids recognize and protect the worth of every person, including themselves. If you are fearful of sending your child to overnight camp, Heagle has this advice: “Homesickness is a good thing, because it teaches the child about themselves, teaches them independence. We’re not happy all the time. Parents today want to shield their children. They can’t find the tools they need to get back to happy.” She notes that most children who feel homesick don’t actually want to go home. They simply want to talk to somebody about their feelings. 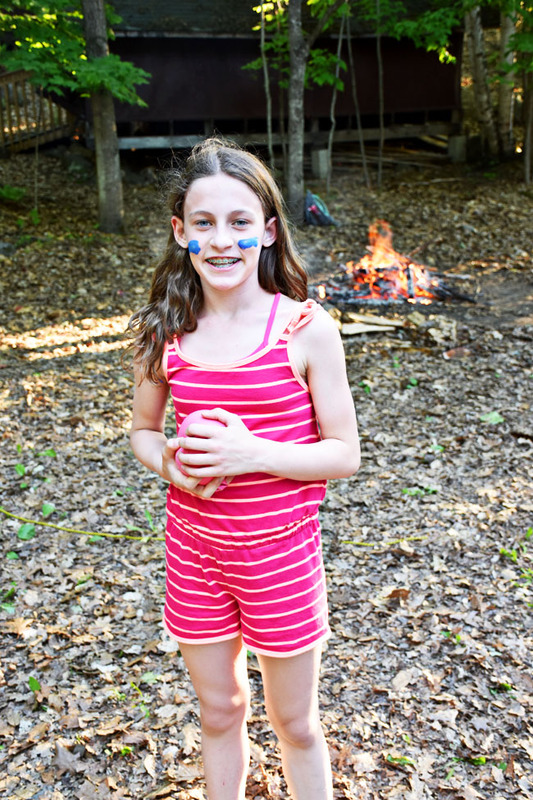 To minimize the odds of a child giving up on the camp experience, Heagle advises allowing the child to have a say in what camp he or she attends. 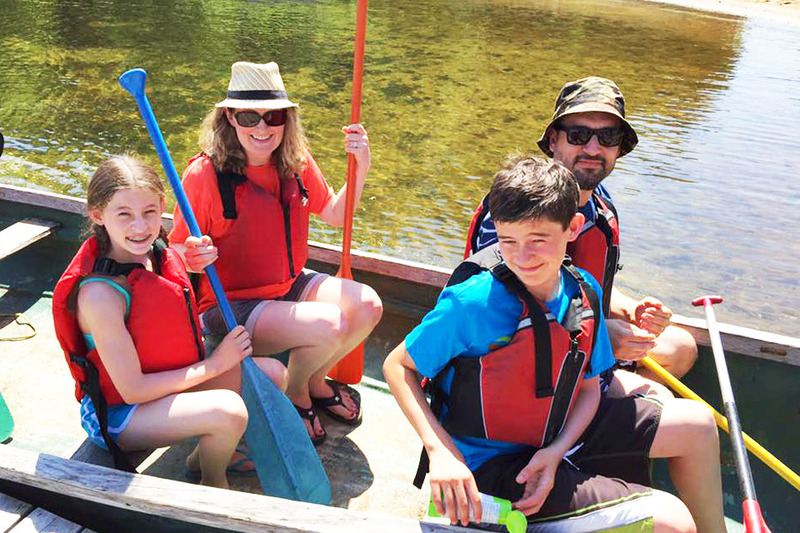 Register your child for Ontario Pioneer Camp this summer and get a discount of $50 per child per week. Cannot be combined with other discounts (other than Bring a Friend). Use the code Realife16. Did you attend summer camp as a child? Do you/will you send your kids? *My thanks to Ontario Pioneer Camp for hosting us for the weekend. All opinions are authentic and my own. We loved getting to know you and your family. Thanks for allowing me to relive the experience through this post!